Two more people have died of Ebola in northwestern Democratic Republic of Congo, bringing the toll to 27 in nearly a month, the health ministry said on Wednesday. Of the two deaths, one occurred in the remote area of Bikoro, where the first cases were declared on May 8, and was confirmed by lab tests, it said. The other was reported from the area of Iboko, but the family were refusing to allow doctors to take a blood sample to test for Ebola, it said. Fifty-eight Ebola cases have been recorded as of June 4, it said. 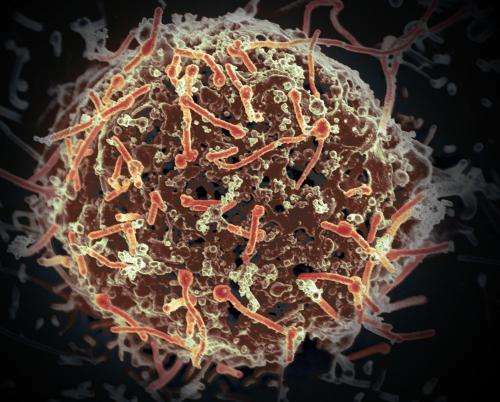 Ebola, a type of haemorrhagic fever, is notorious for its high fatality rate and extreme symptoms, which can include internal and external bleeding. The current outbreak is still on a low scale compared with a three-nation epidemic that occurred between 2013-15 but has stirred wide concern. Cases have occurred in the city of Mbandaka, a transport hub on the Congo River—a scenario that typically makes an outbreak of the infectious disease far more difficult to contain. With the help of the World Health Organization (WHO) and NGOs, the DRC is immunising frontline workers with a vaccine that has shown to be highly effective in trials, although it is still awaiting regulatory approval. A total of 1,369 people have received the unlicenced vaccine since May 21, the ministry said on Wednesday. The WHO has said it has five drugs—also unlicenced—that it has readied for using in treating, as opposed to preventing Ebola. It says it is awaiting the green light from the DRC to dispatch the treatments. But the Congolese health ministry said on Wednesday that "no experimental treatment has yet been given to hospitalised patients." "Discussions on methods for administering treatments in the context of the current epidemic are still underway among the various stakeholders," it said. The current outbreak—the ninth to hit the DRC since Ebola was identified in 1976—involves the same strain of the virus that struck the West African states of Guinea, Liberia and Sierra Leone in 2013-15, killing more than 11,300 people.